Outside Dadar Railway station at 0730hrs on a Saturday morning. 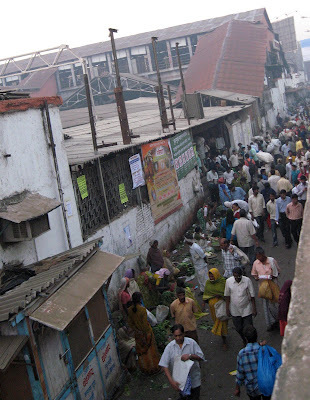 The unofficial vegetable market outside Dadar Railway station. This is the place where the veggies are brought from farms outside the city and offloaded to be taken to the different markets in Dadar and surrounding areas. This picture was taken at 0715hrs.